"It's never too late to start, It's never too late to learn"
Whether you looking to increase your salary potential, changing direction or gain that competitive edge, this program will benefit you. Employers look for people with a demonstrated commitment to their respective fields and who have that extra level of insight that this program will bring. ASQ South Asia along with IIT Kharagpur (Industrial & Systems Engineering Department) have developed this unique ON CAMPUS residential program for working professionals. Encompassing the Six Sigma DMAIC methodology with integrated lean content, you will learn how to use both systems together for even better bottom-line results. 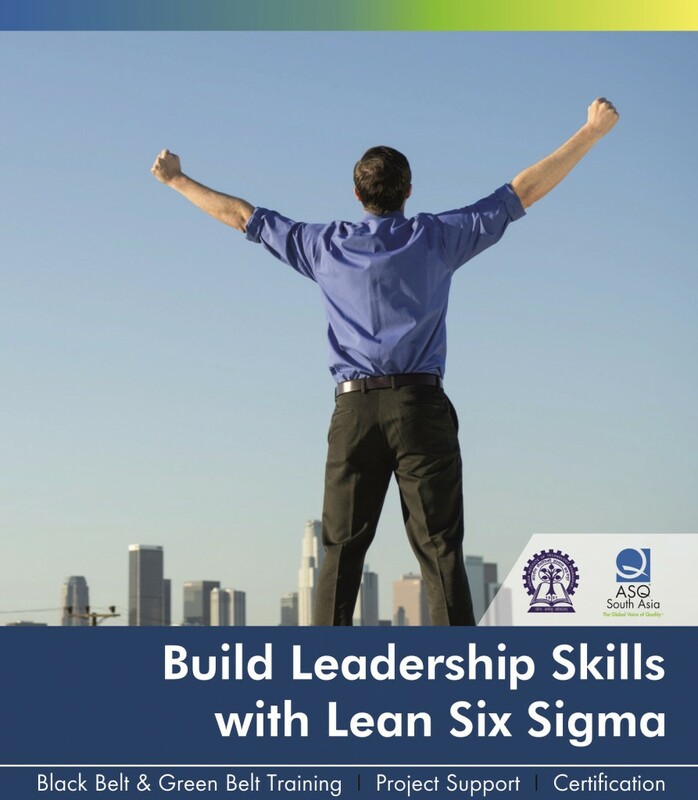 Lean Six Sigma training will bring both Green and Black belt participants together for 8 days ensuring consistent Green Belt level knowledge in the principles and practices of Lean and Six Sigma. Black Belt participants will continue for 7 more days for a deeper dive into the Lean and Six Sigma methodologies and bring the participant to the level of Black Belt to lead project teams to achieve breakthrough business improvements for their organizations. Arrangements for single accommodation will be made at IITKGP Technology Guest House for those who need it. Approximate expenses for boarding & lodging is Rs.2000 per day, to be directly paid to Guest House.